Just for a reminder, Mariejois is the capital of the World Government in the world of One Piece. Everyone who wants to enter the other part of the Grand Line, the New World, must pass through it. 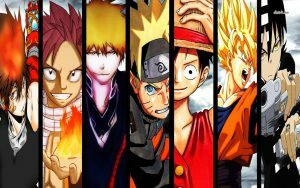 The Straw Hats did, as well as all the other pirates of the Worst Generation. Normally, only people who are within the jurisdiction of the law can enter, meaning the Marines and World Government agents, like the Cipher Pol. 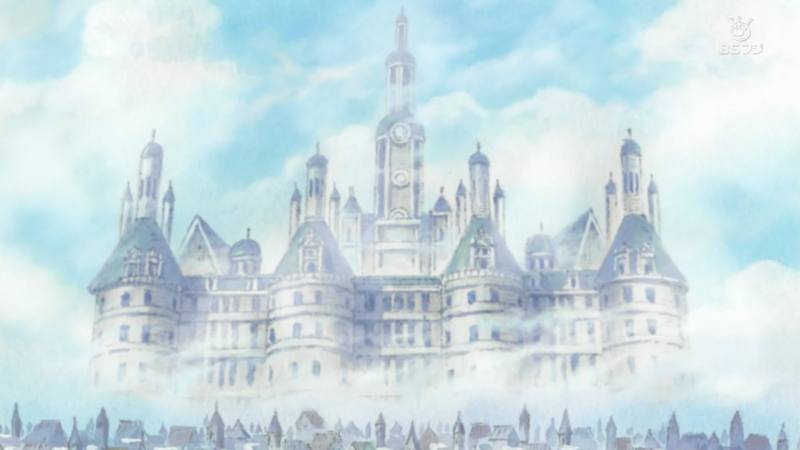 It serves as the headquarters of the World Government and the Reverie is held there. The Gorosei meet in the huge palace of Mariejois. Of course it is the place where all the World Nobles(the descendants of the 20 royal families who founded the World Government, known also as the Tenryuubito) live(except of course the Nefertari and Donquixote families). Doffy talked about the National Treasure, that is hidden in Mariejois and only the World Nobles know of, in his fight against Law in the Dressrosa arc. He specifically stated that, due to his knowledge of the treasure, he could blackmail the Gorosei themselves to do what he needed, even mobilize the CP0! He later stressed that fact that with the combination of the Ope Ope no Mi, someone could use the National Treasure to conquer the world! What do his words mean? We do believe that the national treasure of Mariejois is the ancient weapon Uranus itself. But before we go any further, lets present some interesting facts about the ancient greek god Uranus and the planet Uranus, two possible inspirations for the ancient weapons. What the ancient greek god Uranus mainly strived for was to become an immortal. So, here is the first clue. Could it be that the ancient weapon Uranus drains the life force of the person who uses it? That’s why someone would have to be immortal for them to use it. This can go along quite well with our theory that the Gorosei are immortal. But how did they exactly achieve immortality? We learned from Doffy that one of the most important powers an Ope Ope no Mi user like Law can obtain with their devil fruit, is the ability of ageless surgery, or else dubbed Perpetual Youth Surgery. In essence, giving immortality. The cost? But of course the user’s own life. What is the connection you ask? What if every time in the past that the Ope Ope no mi emerged, the Gorosei used the respective user to perform the operation to them and grant them immortality? The user of course died, so this must have taken them a lot of years to achieve, meaning some of them could be older than the others, but all of them are really old in normal terms. (it could also be the way Kaido became some kind of immortal creature as well, but that’s not the theme of this post). So, the concept is as follows. Uranus is a weapon that drains the life force of its user. In order to use it to its fullest potential, someone must be immortal. That can currently be obtained, as far as we know, through the operation of the Ope Ope no Mi. I only have two thoughts regarding Doflamingo’s motives for wanting Uranus. The first is that he may just wanted to use Law’s fruit to gain immortality and become one of the Gorosei himself. However, since he despises the World Nobles, i have another idea, which is much simpler and more straight forward. 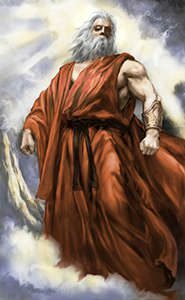 He just wanted to obtain the power to destroy the world, an aspiration of his since the people of his village crucified him along with his family. And that could only be done throught he ageless surgery of the Ope Ope no Mi and him gaining immortality. What is the power of Uranus? Lets explore the possible power of Uranus, through the examination of the planet Uranus. The main characteristic of it is that it is the coldest planet in our entire solar system. Could it be that the ancient weapon has a similar power of bringing Ice Age to the planet? Or in general grant the ability of the nature itself? Then it could be a weather controlling device. Lets end this with a theory that will be expanded in a later post really soon(stay tuned 😉 ). 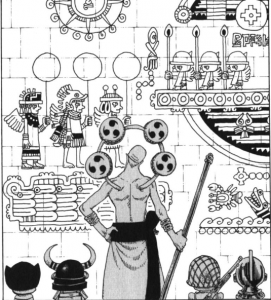 If we pay attention to the cover story of Enel, three people are shown in something that seems like an ancient painting. The one has wings(Skypiean), the other fish characteristics(Fishmen) and the other looks like a normal human. This suggest that the three races once lived harmoniously in the land. Or they may came to the Earth to inhabit it from another planet(but this is something we’ll talk about in a later theory). To ensure balance and peace, each race built and held a powerful weapon of destruction, the so called ancient weapons. The Skypieans built Uranus(means sky in greek, i am greek btw :P), the Fishmen built the Poseidon(god of the sea) and the humans the Pluton. That connects well with the Skypieans, because a weather controlling device wouldn’t affect them, since they live above the clouds. All was going nice and well, until the humans who later called themselves World Government(check our theory here on the Void Century and the Ancient Kingdom if you haven’t), got hold of Uranus. The power balance was lost. They drove the fishmen to the sea and the skypieans to the sky. They kept the land for themselves. The Ancient Kingdom(the ancestors of the Ds) opposed them and lost as well. Another theory i liked about the national treasure of Mariejois is that it is a tree. And more specifically the Tree of Life. That may also explain, with an alternative theory, the possibility we have discussed that the Gorosei may be immortals. (credits for this one to Andrew from the comments). I can’t wait to hear your thoughts about this one in the comments. What is the National Treasure of Mariejois in One Piece? Could it be the ancient weapon Uranus? As always, i urge you to like our facebook page for similar theories and join our newsletter in the sidebar for some inner circle exclusive e-mails. ps. Halloween is just some days away, so check out our guide on cosplaying Trafalgar Law and tell me what you think. (similar recommendations and guides are here). Appreciate it minna! This is a nice theory. It could very well be true. Some are speculating that the weapon is actually a tree. The Tree of Life. We’ve seen how Oda likes to link the One Piece story to religious things like the Bible. So we may actually discover that the weapon is the Tree of Life which explains why the Gorosei appear to be immortal old men. I absolutely love your feedback Andrew! You really add juice to the theories with your ideas. I may employ you as a writer some time in the future :). The Tree of Life is a nice theory to explain the fact that the Gorosei may be immortal. And yes, Oda really likes to play with this kind of stuff! 😉 Won’t be surprised if it happens! I’ve actually learned more about One Piece from this one article than I ever knew before. Of course, that’s partly because I know almost nothing about it, aside from the main character’s name and that they’re all after some kind of amazing treasure. Forgive my ignorance, good sir. The article was interesting, but personally I was even more impressed by your actual site design. The article is full of links that take the viewer to other articles, while off to the side there are links to advertisements and affiliates that are eye-catching and colourful. I wish my site looked like that. Regardless, it’s a great, informative article and a solid niche for a website. Nicely done. Hello Andrew. 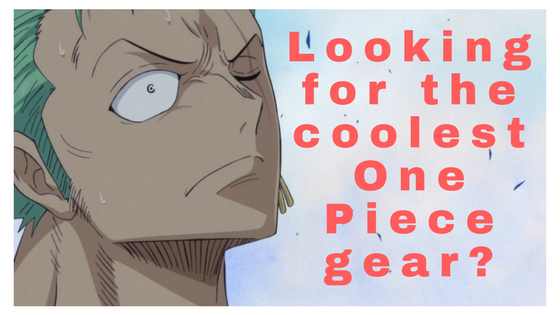 Glad you liked the post and hope it will entice to dive into the amazing world of One Piece. Happy you like my design too. Been working on it for a while. In fact, i’m not completely satisfied with it, a redesign with a premium theme is in my goals. Thanks for stopping by! Cheers! 1. The national treasure is but an identity chip of which makes a tenryubito a tenryubito or a celestial dragon. Joker’s family lost their’s that’s why their family were stripped of their identity as a celestial dragon. As for why this chip is important and what other use it has, it was proclaimed to be a ticket to Ride the “ark” of which is most probably uranus. Joker want to get a chip to re-establish his family’s status as a celestial dragon, he also want to know it’s other uses. 2. The people of skypia, the winged men, together with the celestial dragons, and another race whose fate was unknown after the ancient war were all not natives of one piece earth. They came from outer space. A brief description of uranus was also stated there having gigantic size, very long length, has wings, and can forever fly in the sky. You may be right about the picture, I may update it with a better one. However, the theory still holds. And regarding the weapons, I mainly say that each race possessed one of them for the purpose of balance. Whether they built them or not is irrelevant. Next Next post: Captain Eustass Kid One Piece – What happened to him during the timeskip?